We’ve all been there. The blank piece of paper is staring you in the face. You’ve been tasked with creating a new stage design but have no idea where to start. 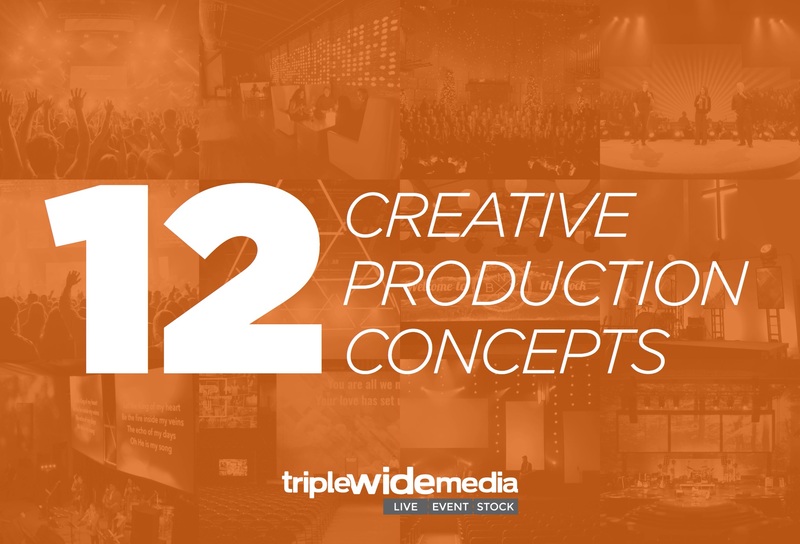 We have put together 12 Creative Production Concepts that you can implement into your environments. From LED to Environmental Projection, this will give you fresh ideas for years to come! To download this free resource, simply fill the form out below to join the TripleWide Media mailing list! You’ll receive a download link immediately. If you want to share this free resource, please share this page (not the download link in your inbox) so we can continue to giveaway great resources.